Fly rods LOOMIS & FRANKL. 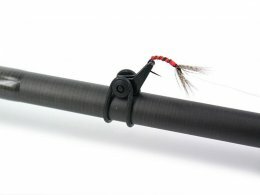 Qui trovi degli utili accessori per la pesca a mosca Tenkara come porta mosche ("easy hook keeper") o porta lenza ("line keeper"). Tenkara easy hook keeper - 2 pc. Never miss again our special offers, info about new products and other interesting fly fishing news! Our warranty applies to all products in our fly fishing online shop. We offer you in our fly fishing online store the most common payment options. We ship throughout Europe with DHL Express to to guarantee an efficient service.